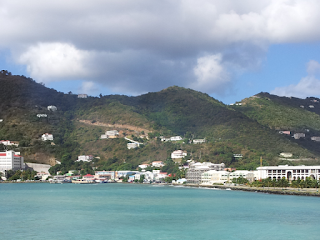 We visited the islands of Tortola and Virgin Gorda today. We enjoyed the morning exploring the capital, Road Town. 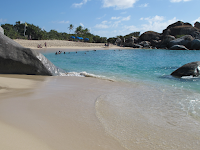 In the afternoon we visited an unusual beach scattered with big granite boulders. 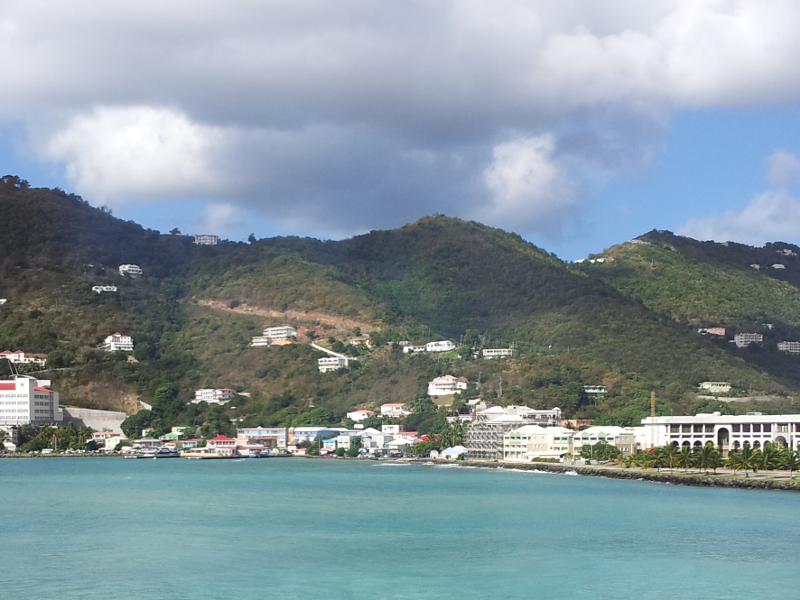 We arrived in the British Virgin Islands and docked at Road Town on the south of Tortola. 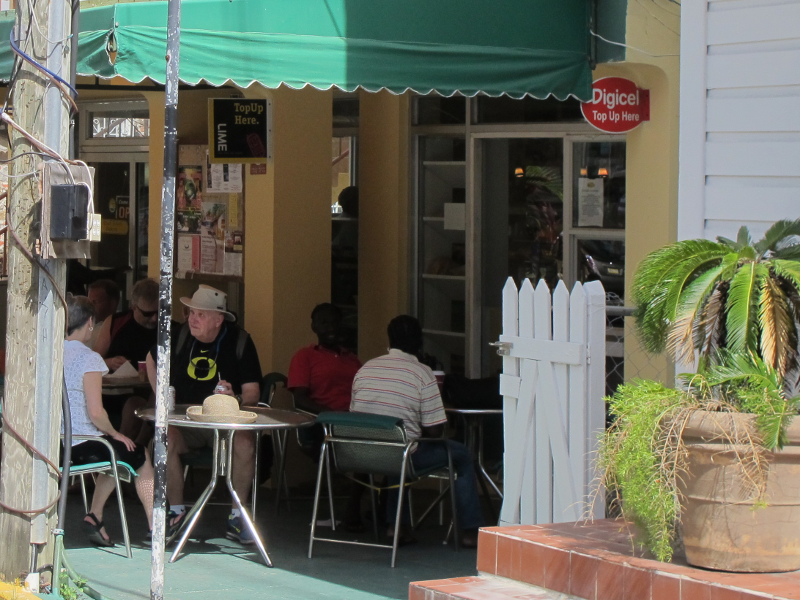 We spent the morning in the town, walking along the main road from the harbour and then Waterfront Drive, Main Street and Pickenin Street up to St George's Episcopal Church. Retracing our steps we stopped at the bakery for a cookie and some water, fed cookie crumbs to a hen and her three chicks, visited the museum, and bought and posted a card for Megan and our Tuesday evening Small Group. 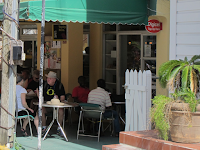 We strolled back to the ship for a light lunch, then on to the harbour and a powerful catamaran for an afternoon trip to Virgin Gorda. Richard Branson's private island of Necker is not far from here. Once on the island we were taken by local bus to 'The Baths' a swimming beach and national park. The area is littered with granite boulders, small, large and enormous (up to the size of a small house). These were ejected by a volcano long ago, enclosed in lava, and then as the lava eroded they were released. 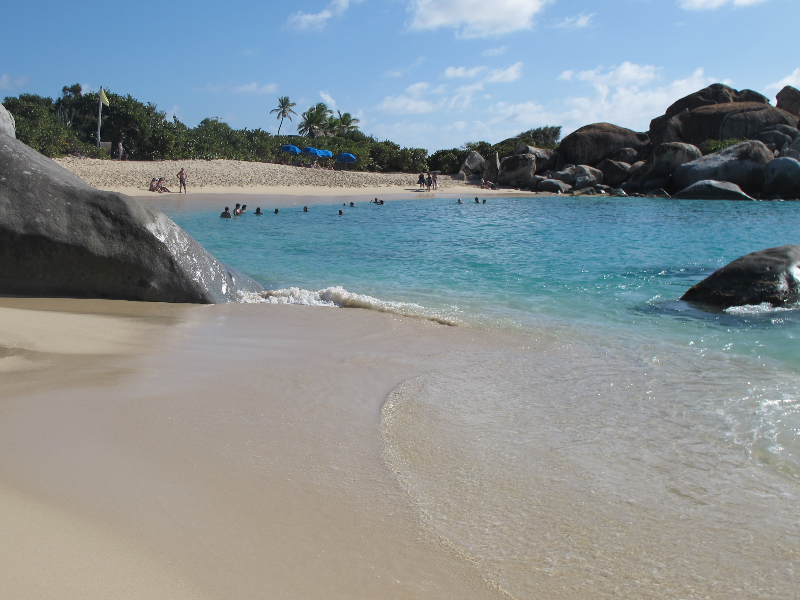 These boulders lie all over this part of the island - on the hilly ground inland, on the beach itself, and partially or totally submerged just offshore. A jumbled pile of these boulders forms a 'cave' network through which the next beach can be reached. It proved to be quite a scramble and there was little in the way of guidance. We made several false turns and had to retrace our steps to a familiar point and try again. While amongst the boulders Donna swam in the sea before we returned by a different route to catch the bus home. In the boat we chatted with a Canadian couple who reminded us of of our old friends, Geoff and Dawn. We didn't learn their names, but began to think of him as 'Canadian Geoff'! Back at the ship we went to the theatre to hear Jeri Sager sing some of her Broadway and other songs before dinner in the Aqua Restaurant and a relaxed evening. Cruising is most enjoyable, I could get used to it!